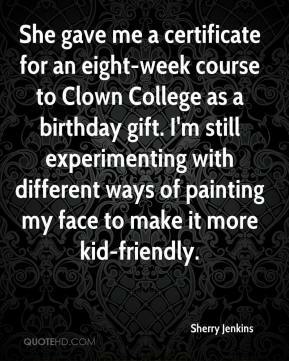 She gave me a certificate for an eight-week course to Clown College as a birthday gift. I'm still experimenting with different ways of painting my face to make it more kid-friendly. 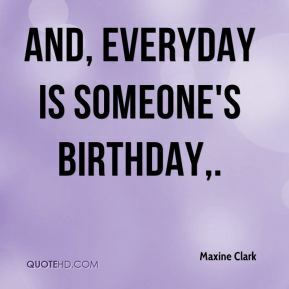 And, everyday is someone's birthday. 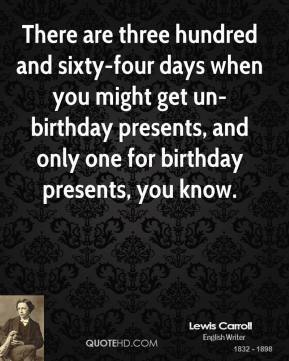 Sure, birthdays have been around forever. 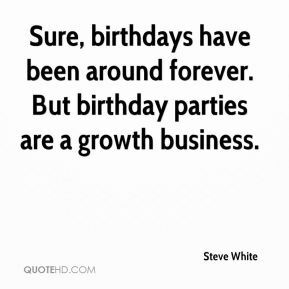 But birthday parties are a growth business. 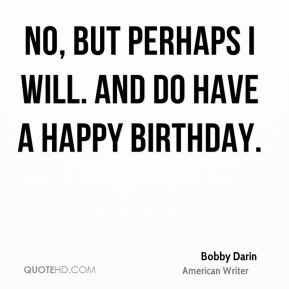 No, but perhaps I will. 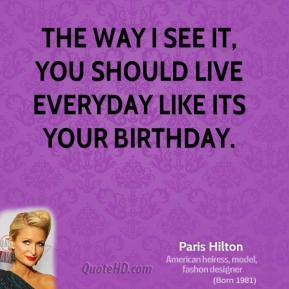 And do have a happy birthday. 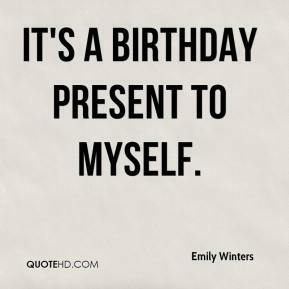 It's a birthday present to myself. 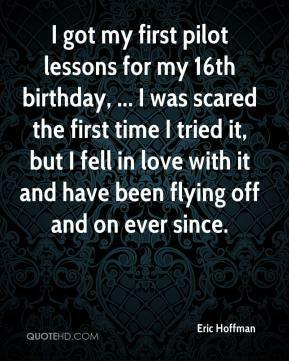 I got my first pilot lessons for my 16th birthday, ... 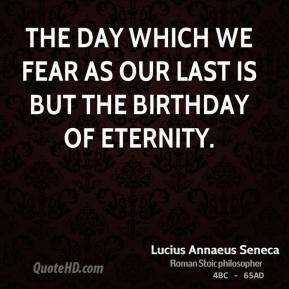 I was scared the first time I tried it, but I fell in love with it and have been flying off and on ever since. 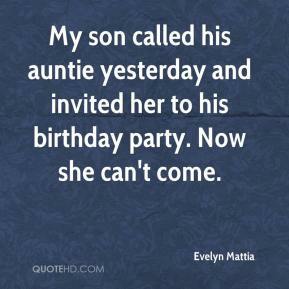 My son called his auntie yesterday and invited her to his birthday party. 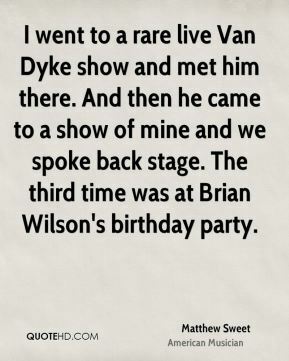 Now she can't come. 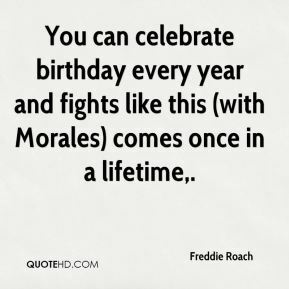 You can celebrate birthday every year and fights like this (with Morales) comes once in a lifetime. 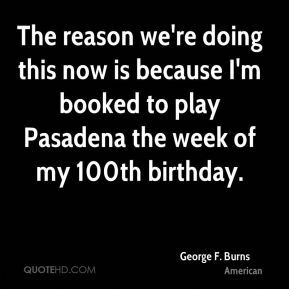 The reason we're doing this now is because I'm booked to play Pasadena the week of my 100th birthday. 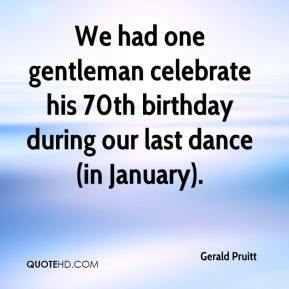 We had one gentleman celebrate his 70th birthday during our last dance (in January). 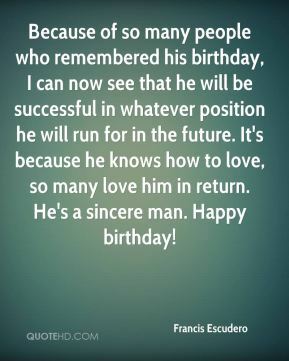 Today is my birthday and the crew surprised me with a cake. 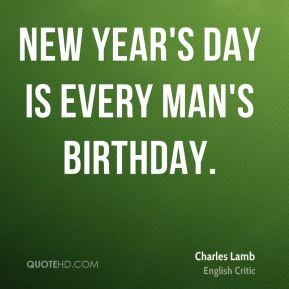 But this was not the best present I got from the team. 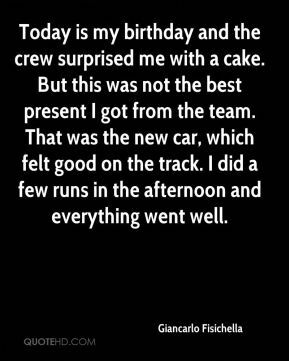 That was the new car, which felt good on the track. 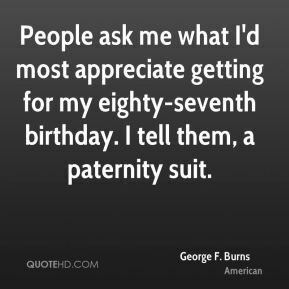 I did a few runs in the afternoon and everything went well. 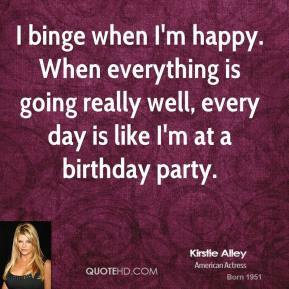 (That weekend) is my birthday weekend. 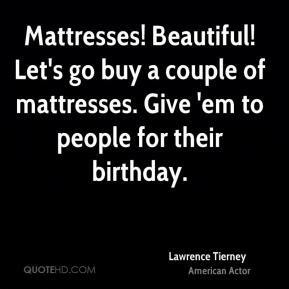 One of my staff reminded me this morning. 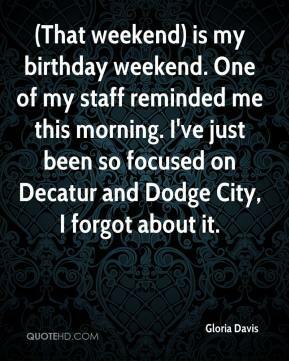 I've just been so focused on Decatur and Dodge City, I forgot about it. 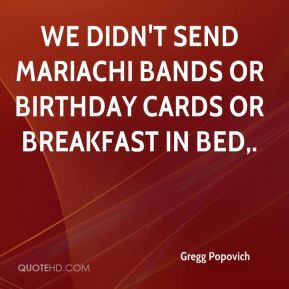 We didn't send mariachi bands or birthday cards or breakfast in bed. 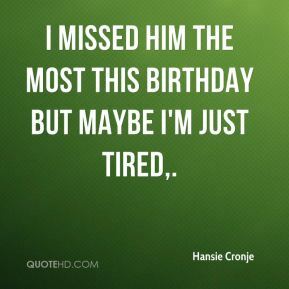 I missed him the most this birthday but maybe I'm just tired. 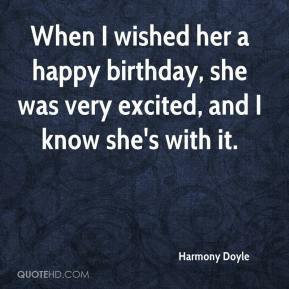 When I wished her a happy birthday, she was very excited, and I know she's with it.